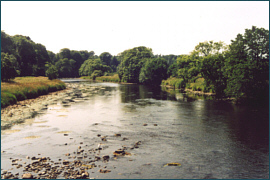 One of the best salmon and sea trout rivers in the south of Scotland, the river Annan is a spate river flowing southwards for 35 miles past Moffat, Johnstonebridge and Lockerbie,joined on its way by several tributaries such as Moffat Water, Evan Water, Kinnel Water, Water of Ae, Water of Milk and Mien Water before entering the Solway at Annan. 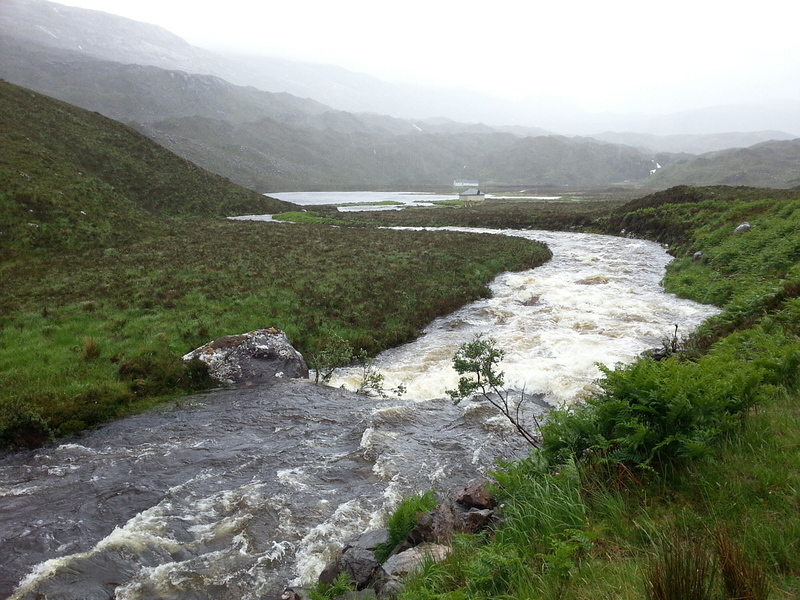 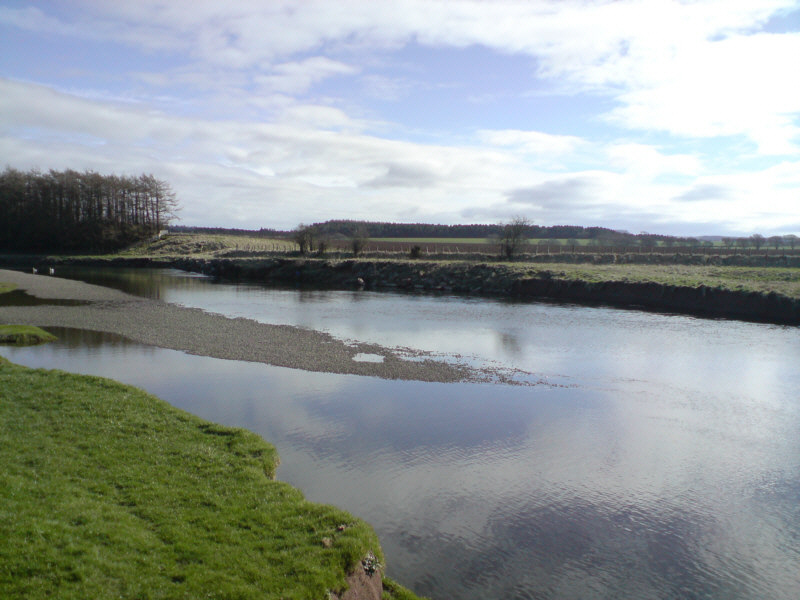 Given water, the Annan can have runs of salmon and grilse from June onwards but the later months of September, October and November produce most of the annual salmon catch, which can be in the region of 800 fish. 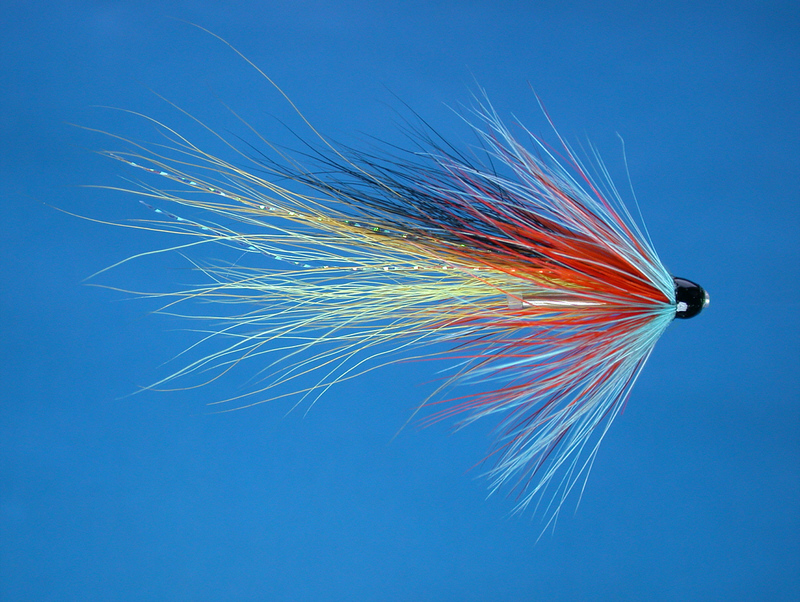 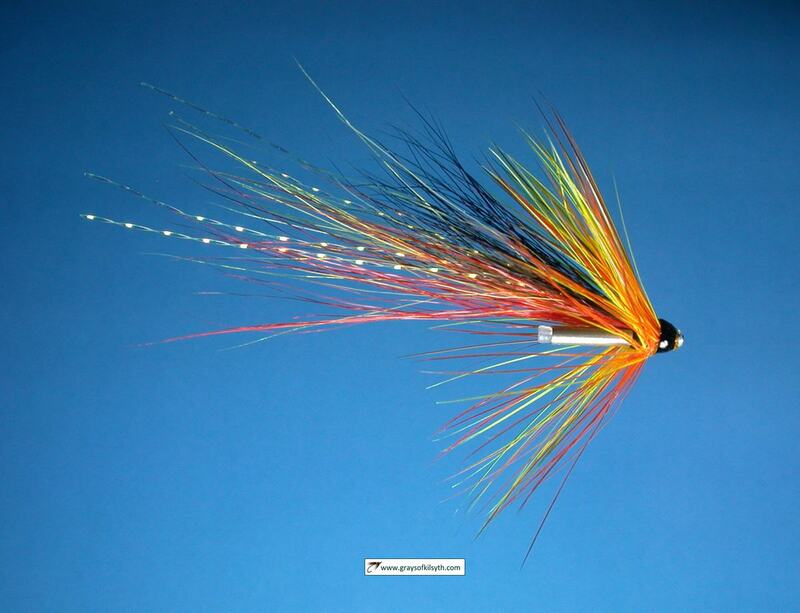 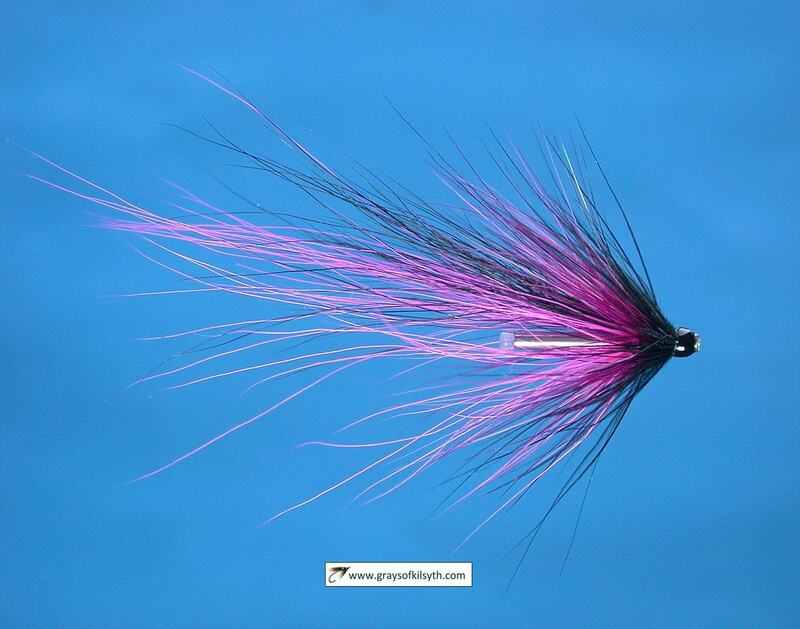 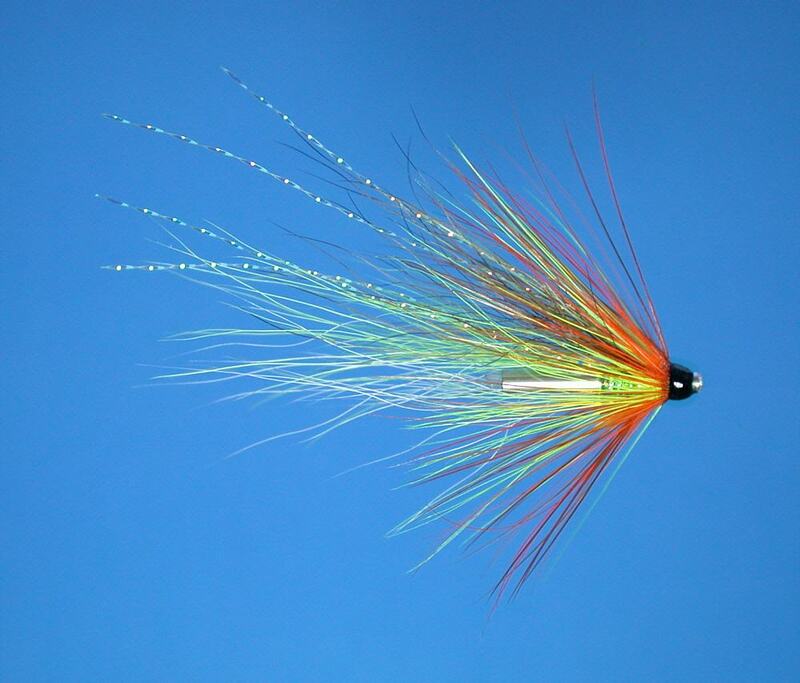 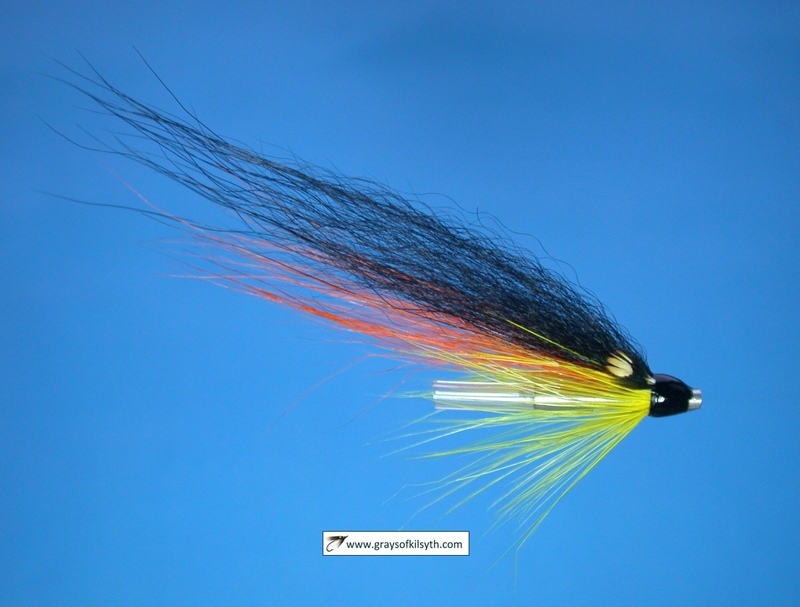 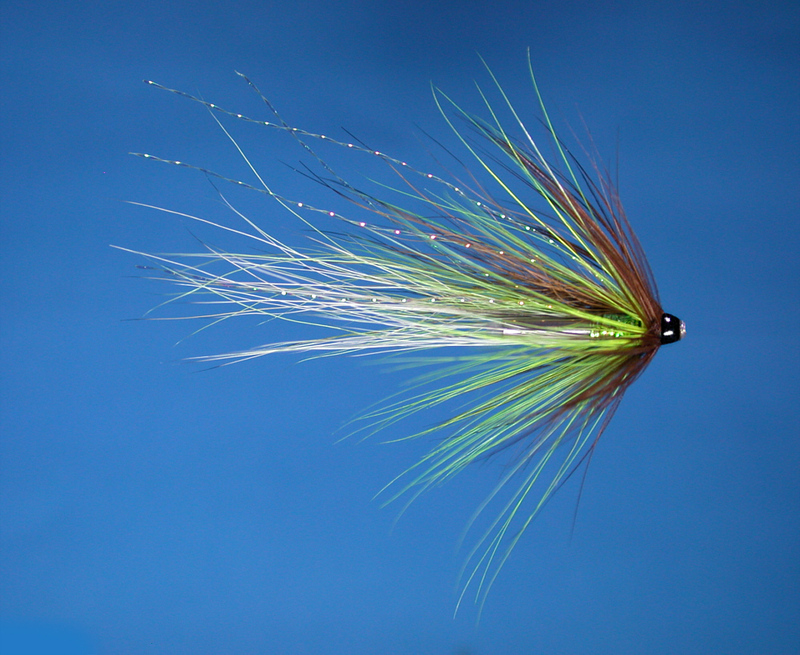 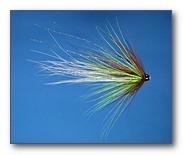 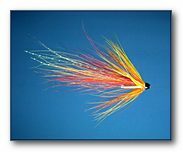 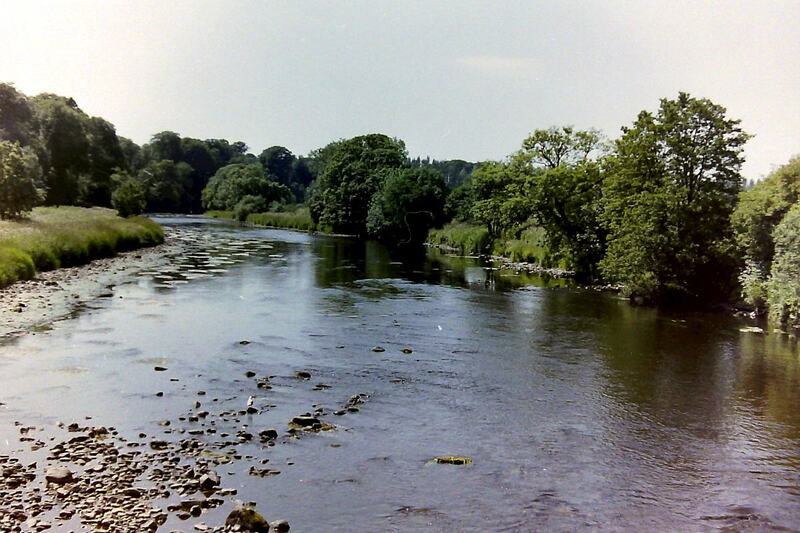 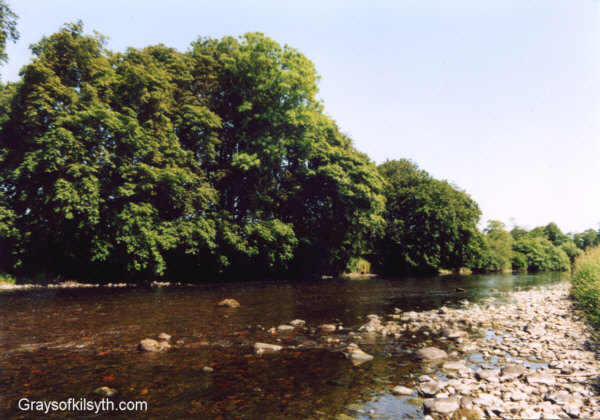 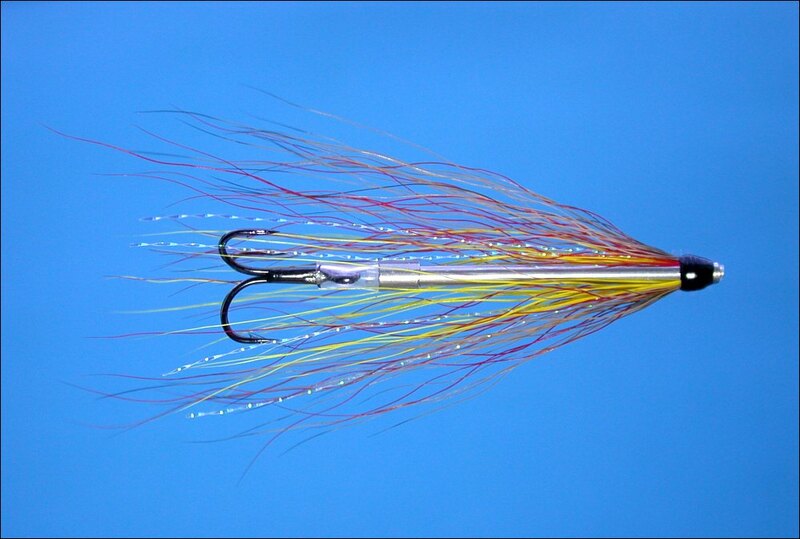 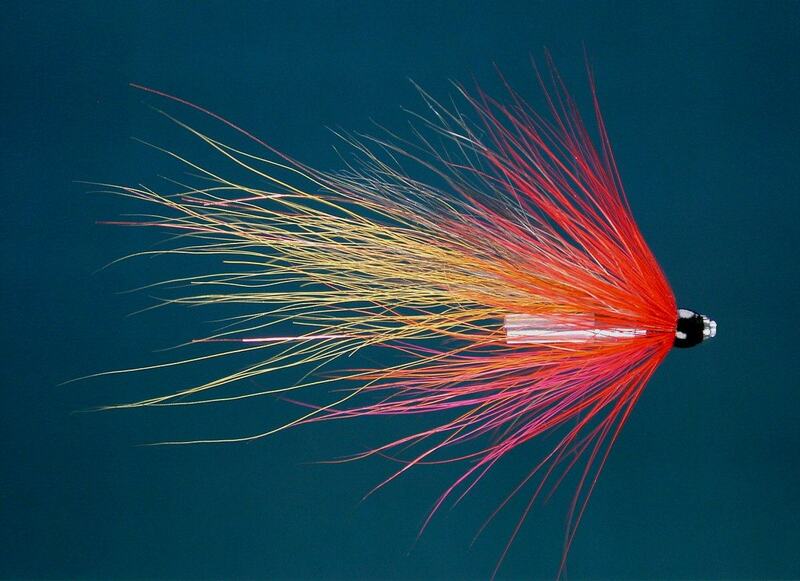 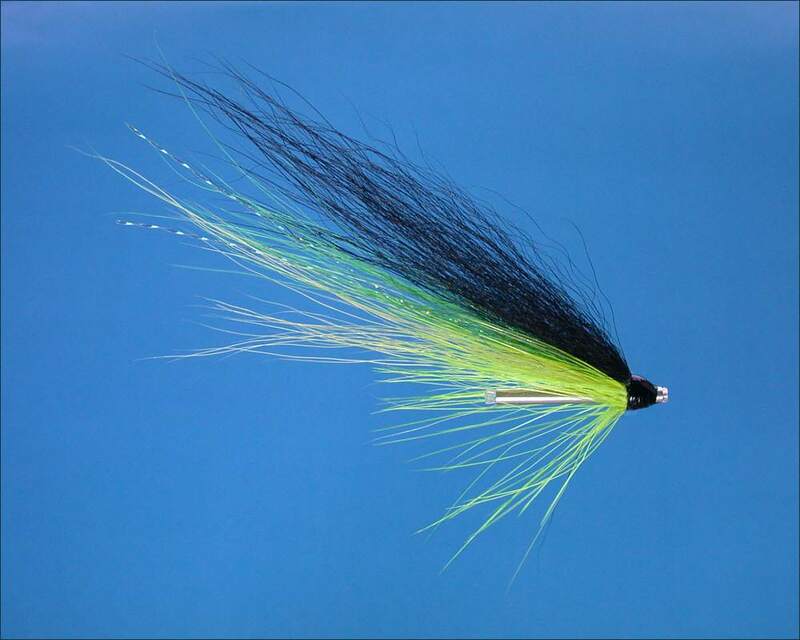 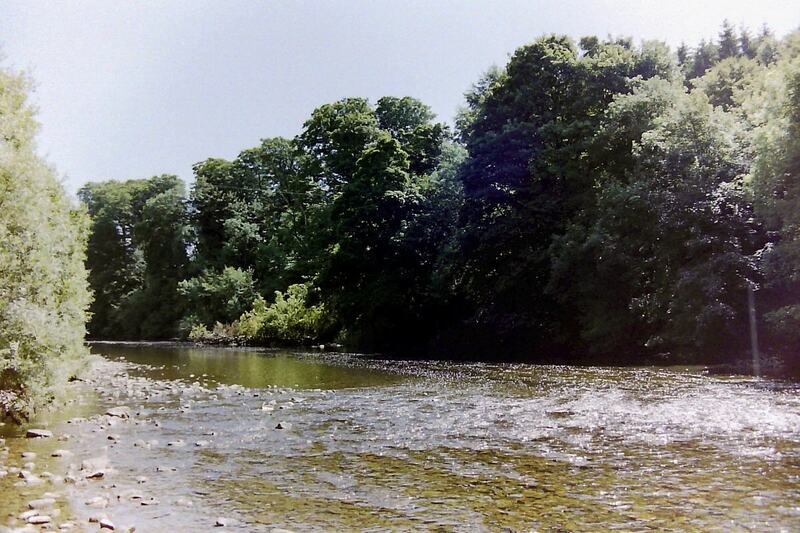 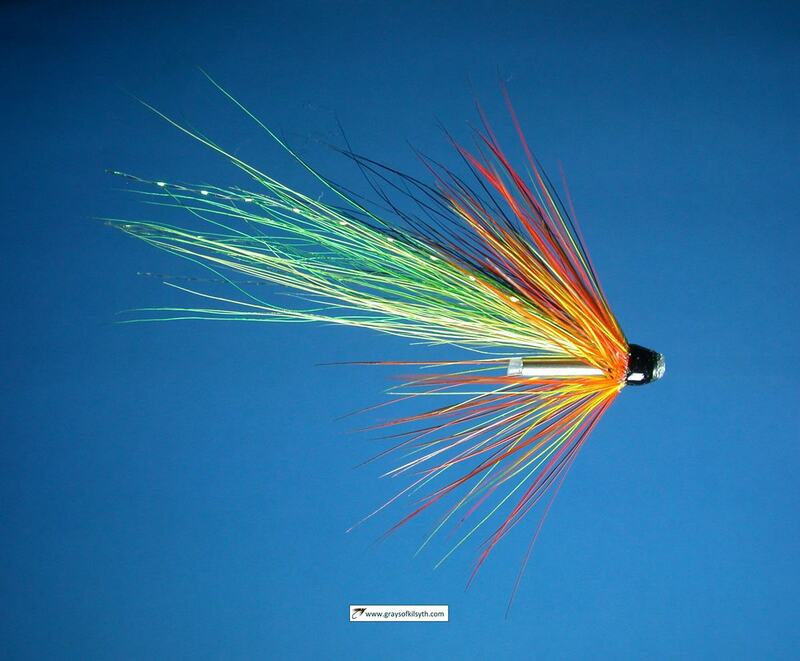 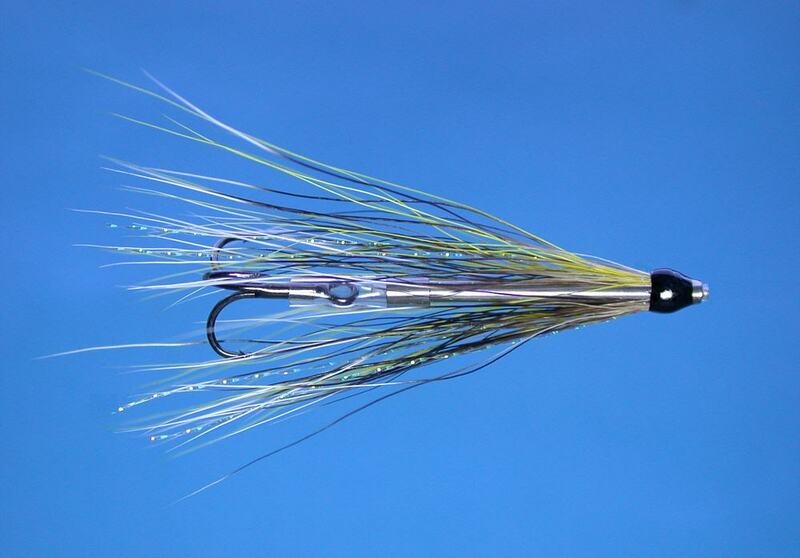 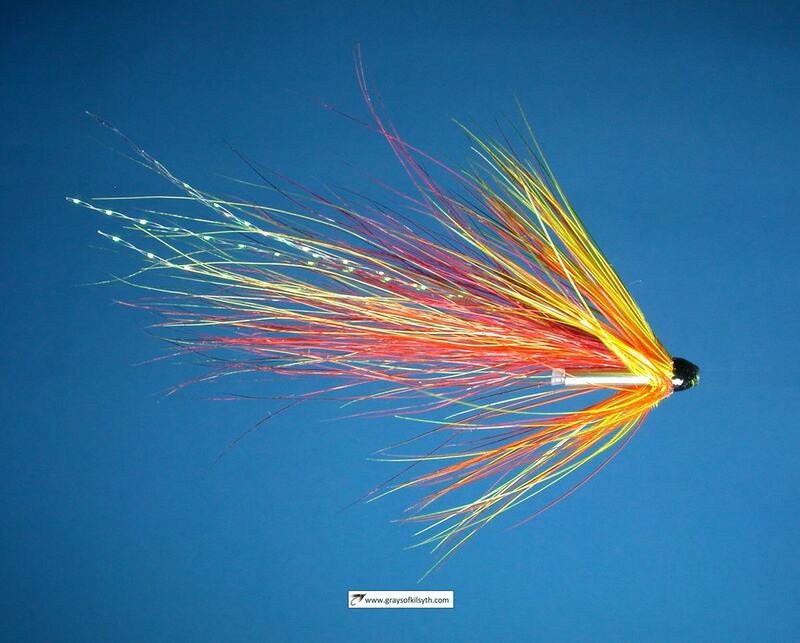 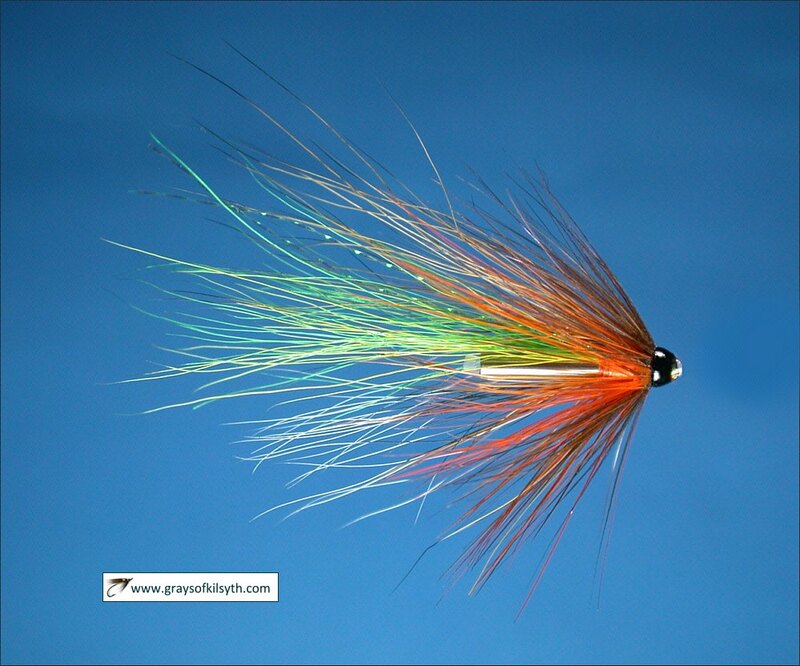 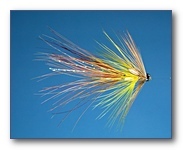 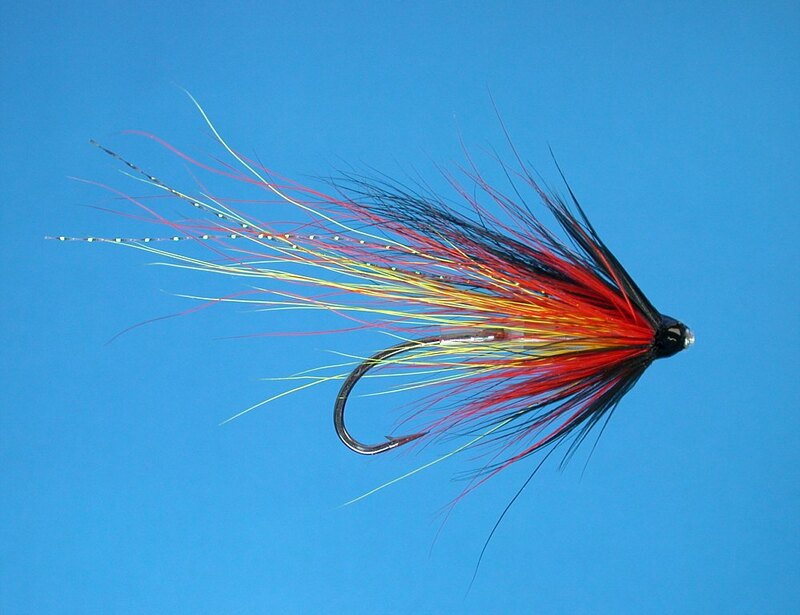 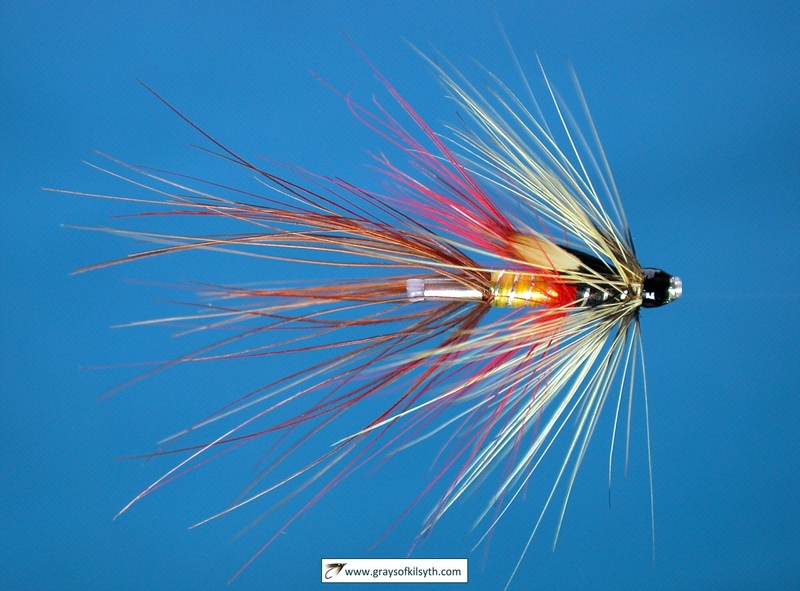 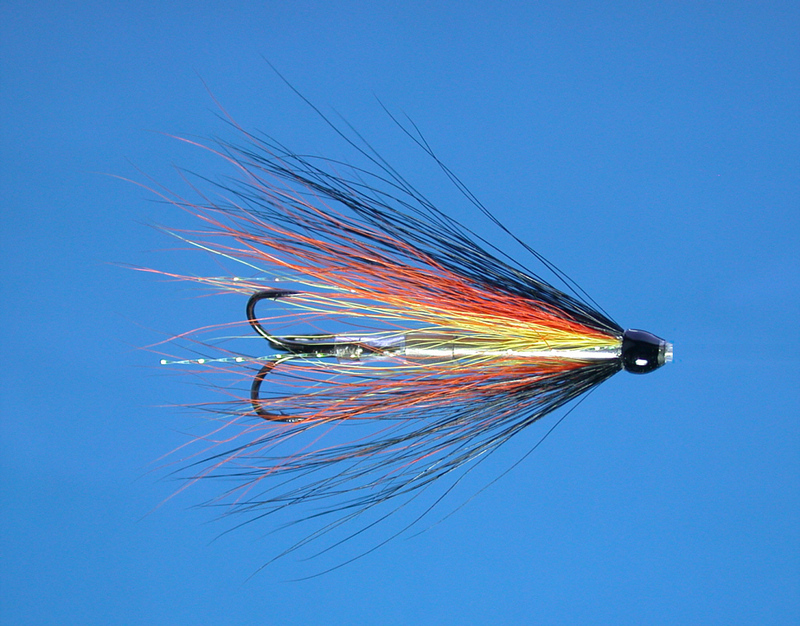 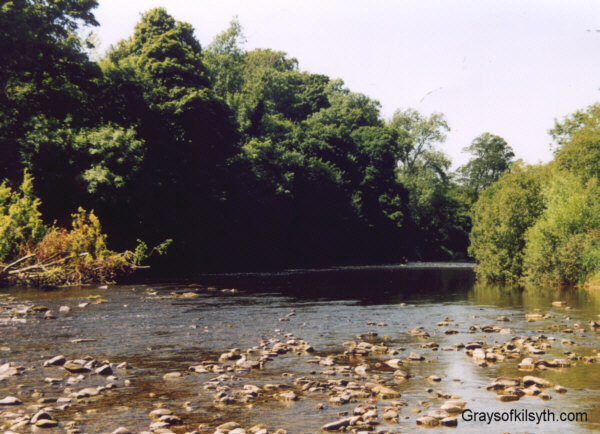 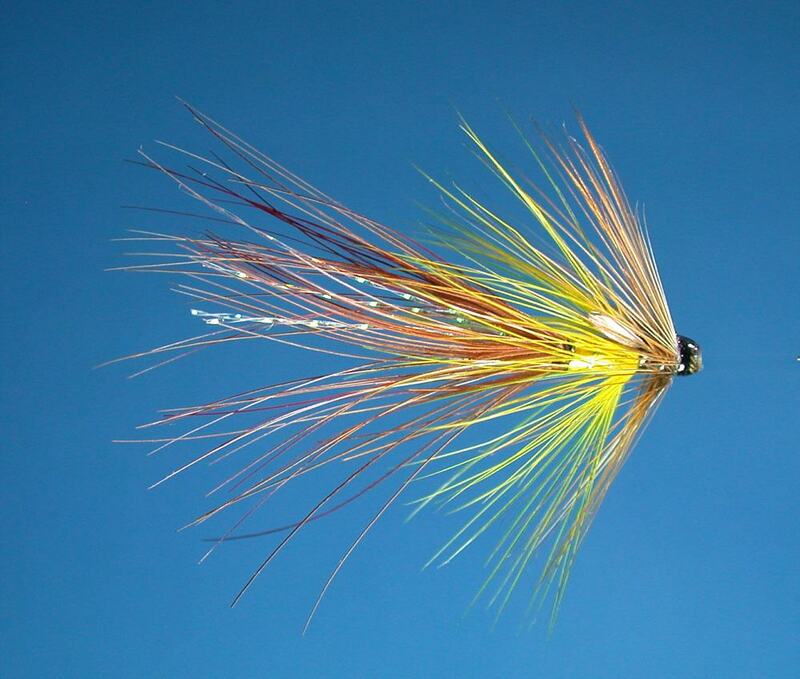 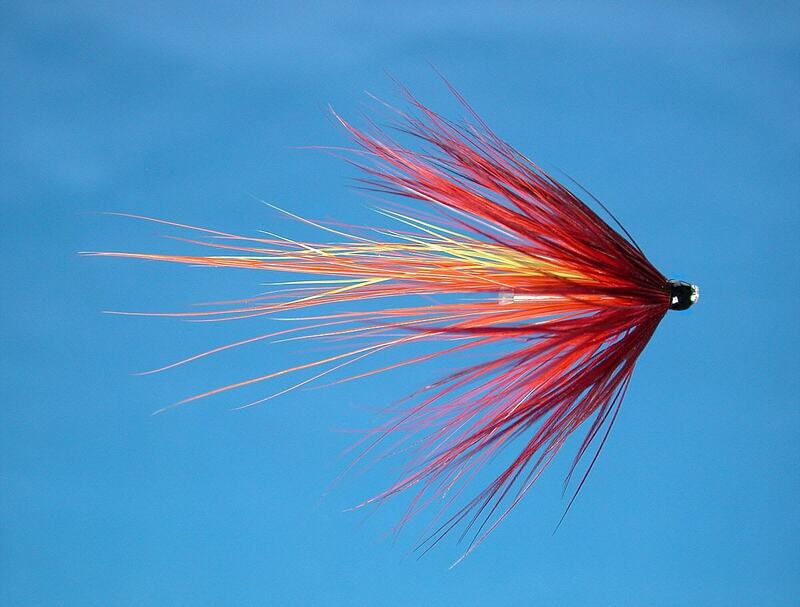 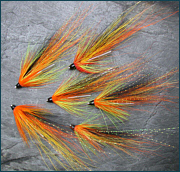 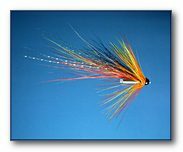 The Annan is also one of the best sea trout rivers in the south of Scotland, with catches of around 1500 in a good year, although, in common with other Solway rivers, the Annan has seen a worrying decline in sea trout stocks in the last few years. 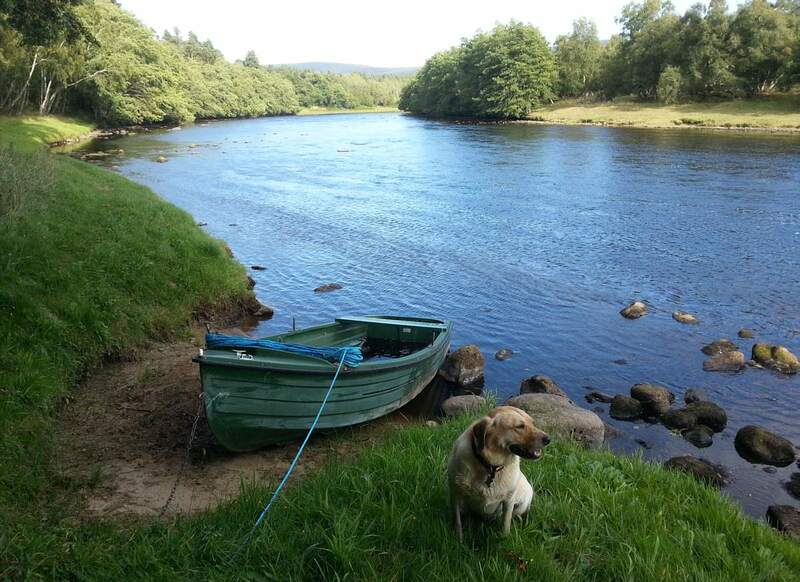 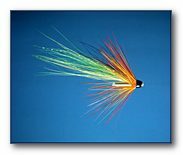 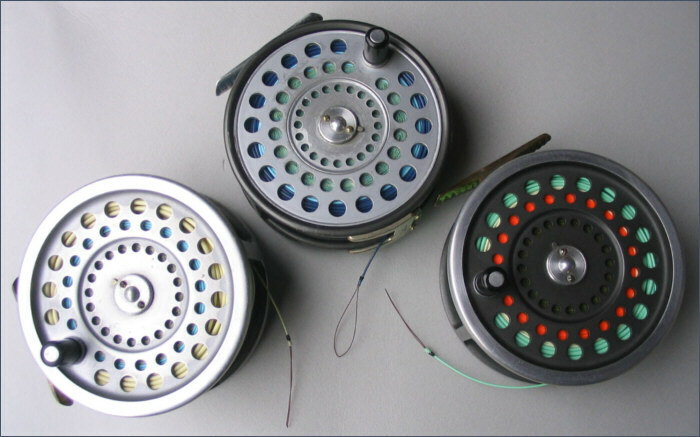 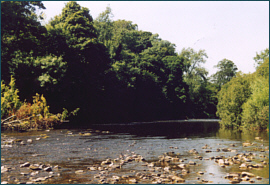 A range of fishing is available, including estate, hotel and club waters. 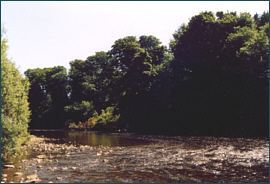 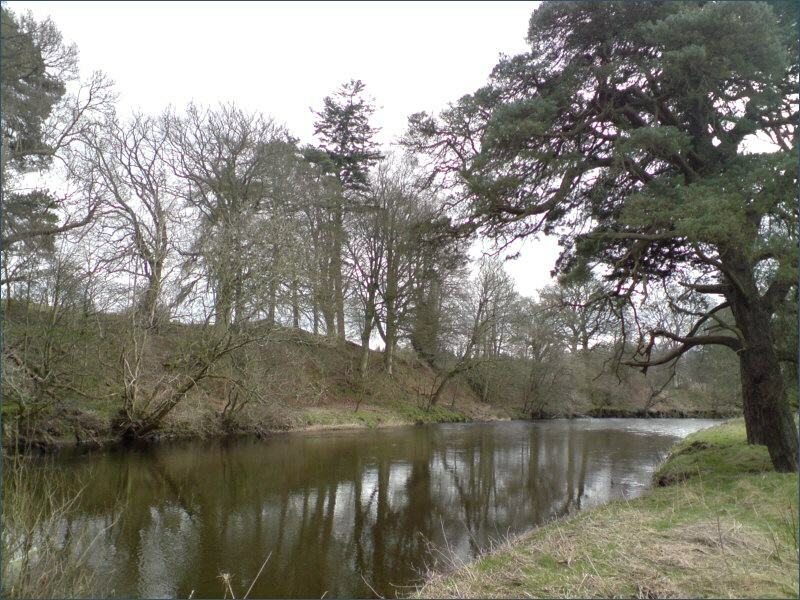 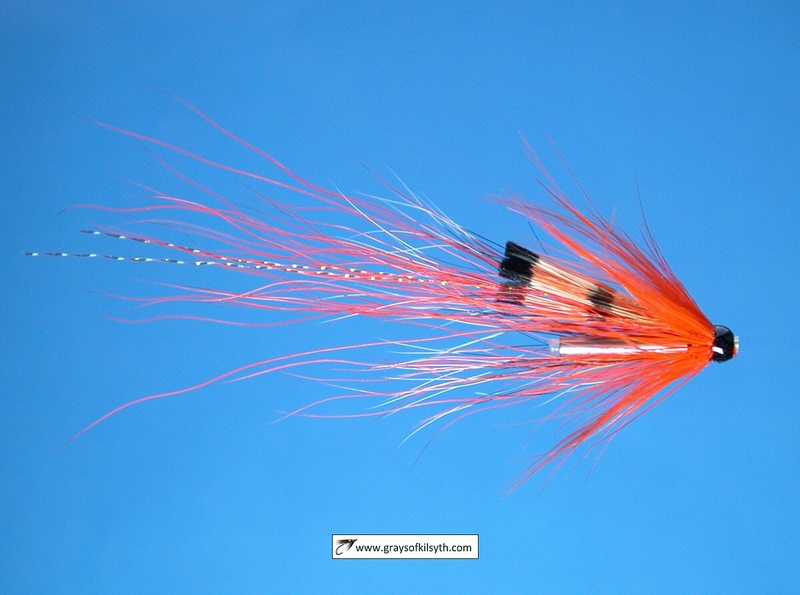 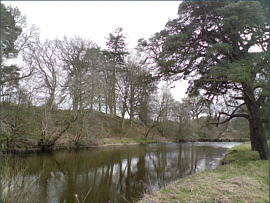 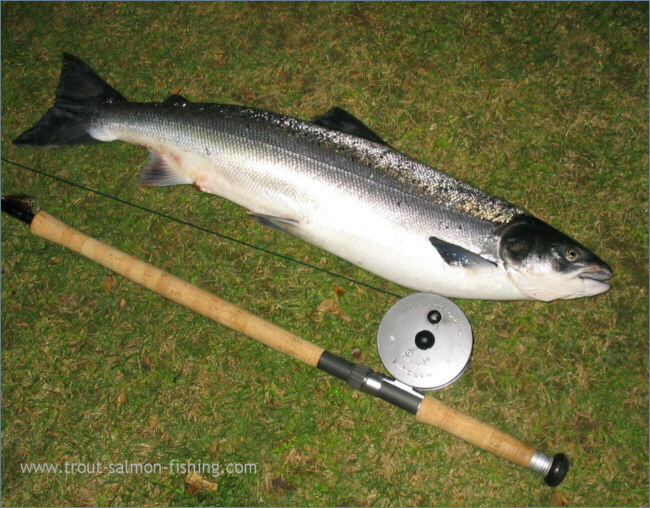 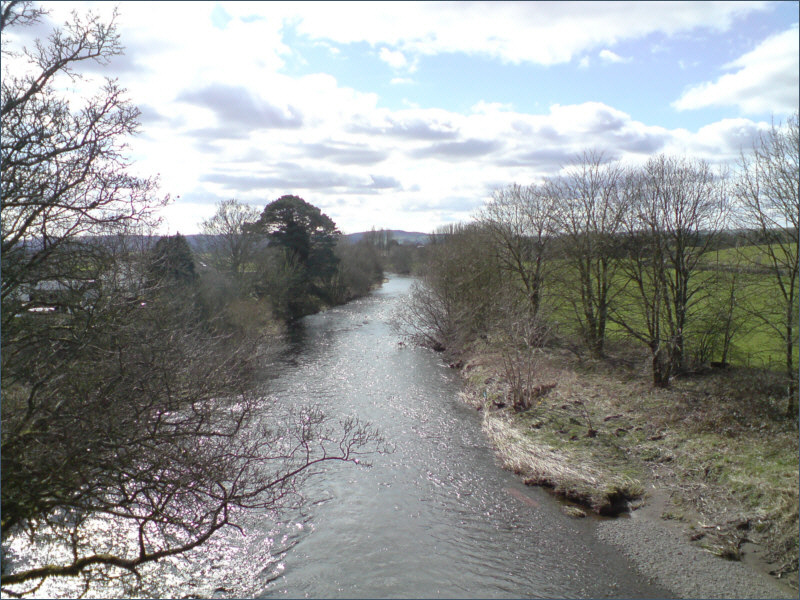 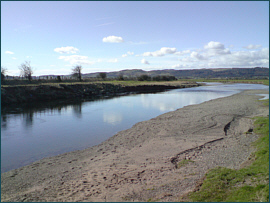 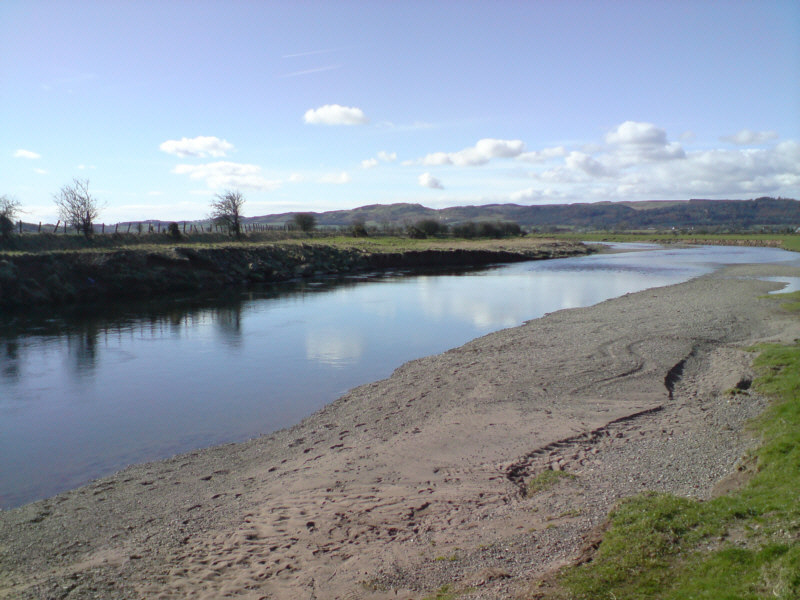 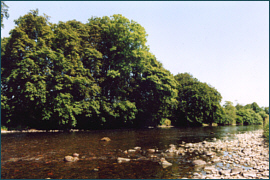 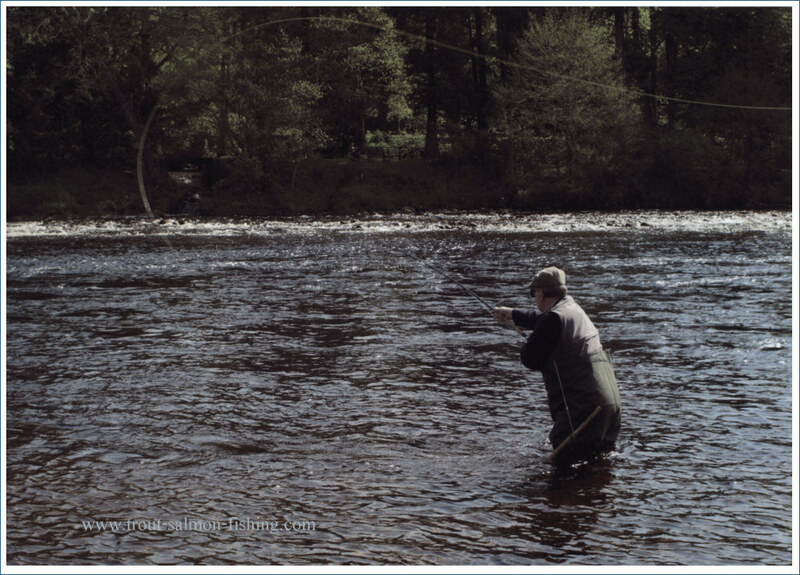 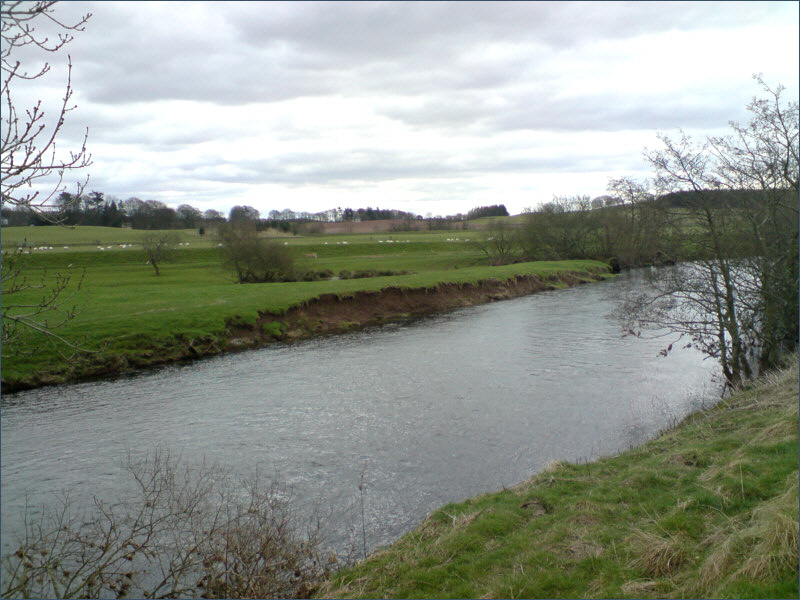 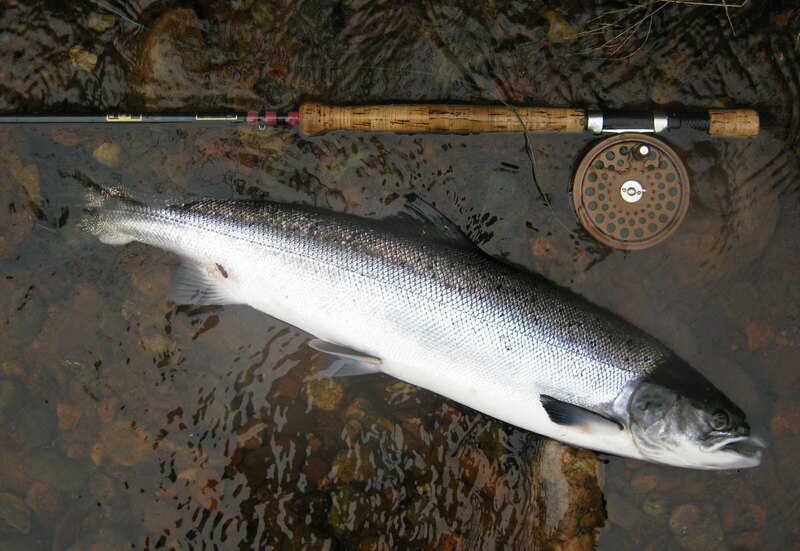 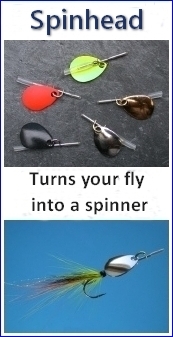 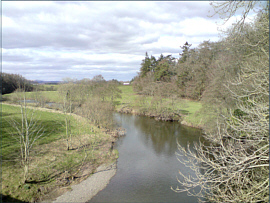 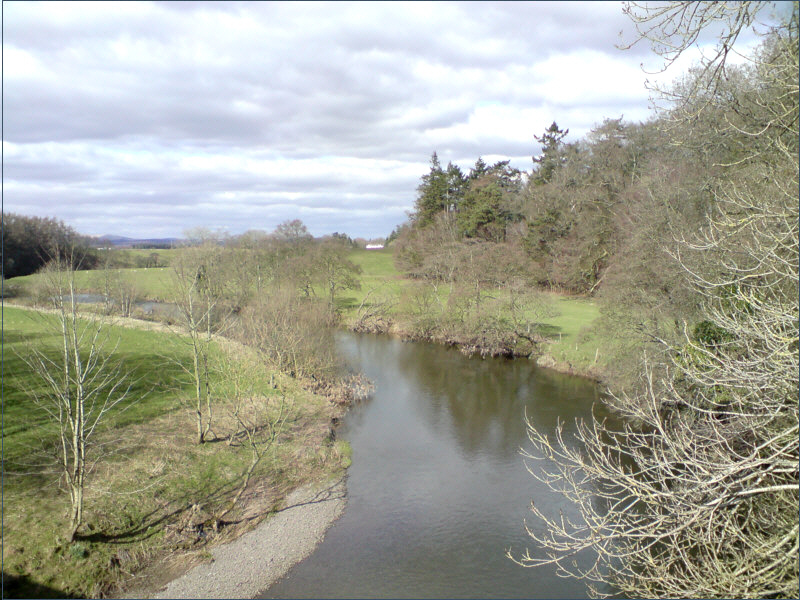 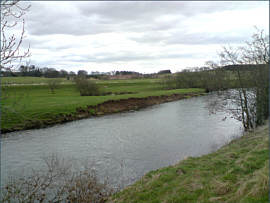 The Upper Annandale Angling Association has some ten miles of good water on the river between Moffat and Lockerbie, which is available to the visiting angler and there is an excellent stretch at Hoddom Castle, available at reasonable cost, to name only two of the many beats available to the visitor. 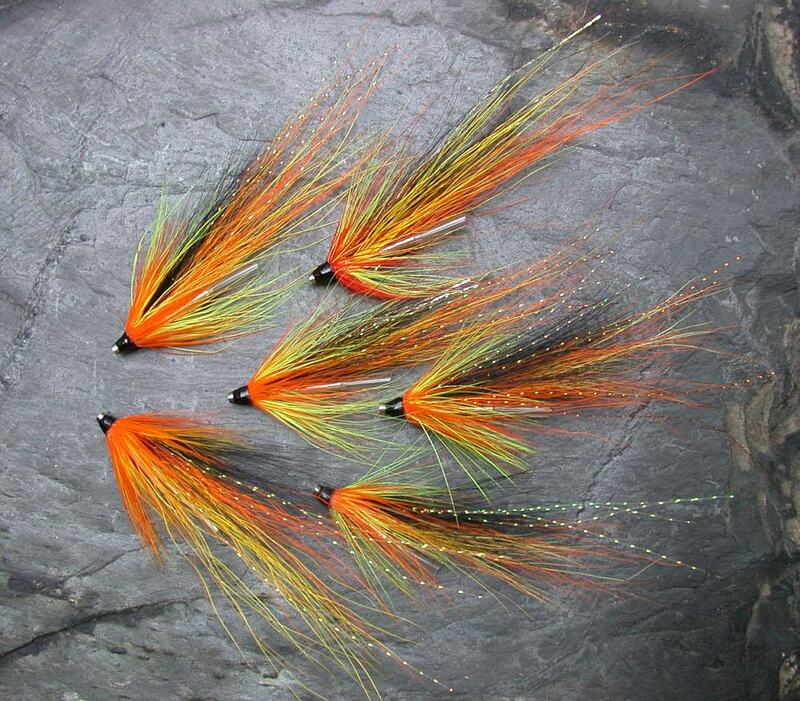 Andy Dickson, Breahead, Woodfoot, Beattock. 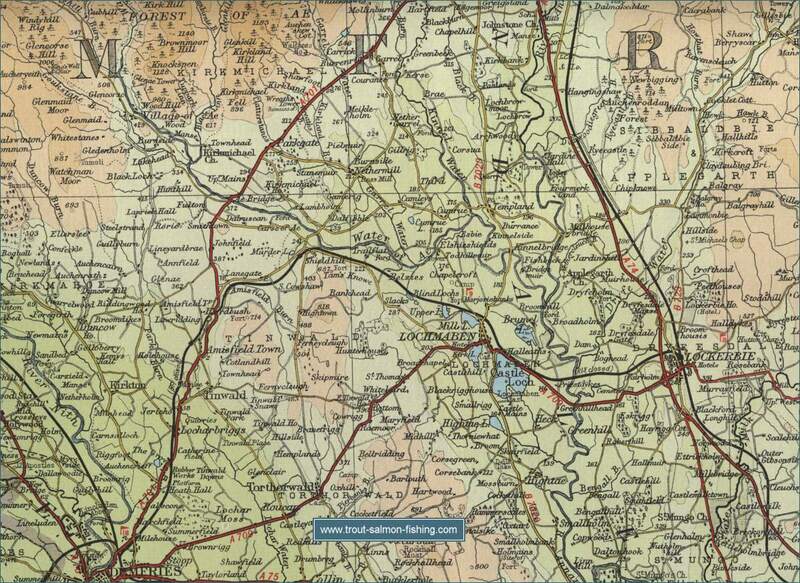 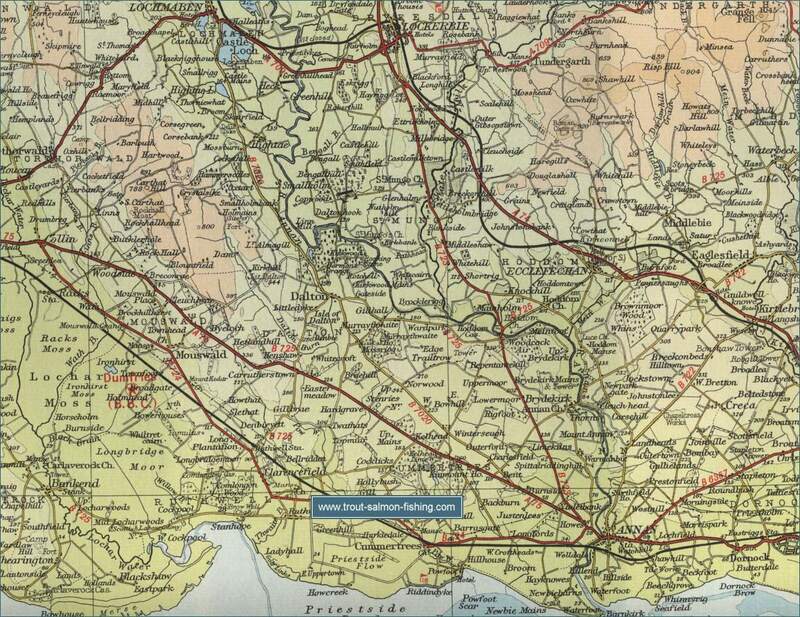 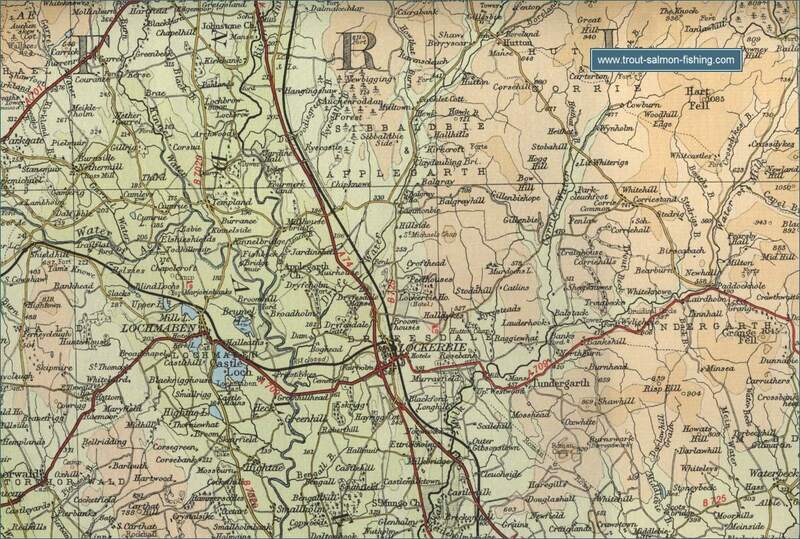 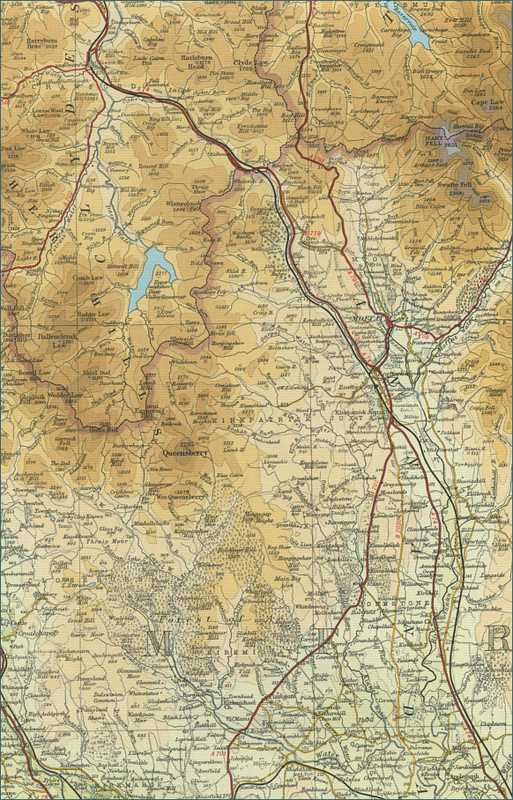 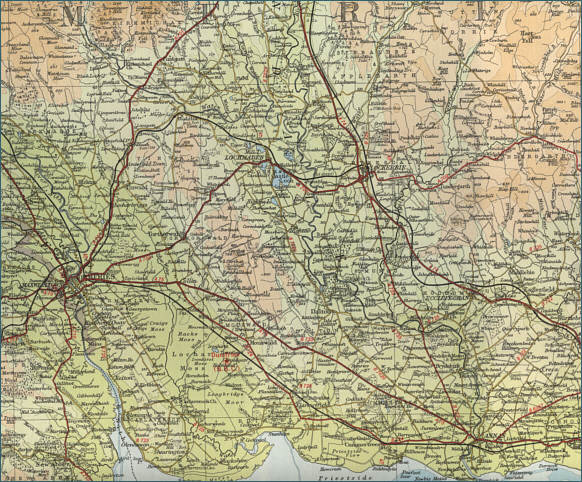 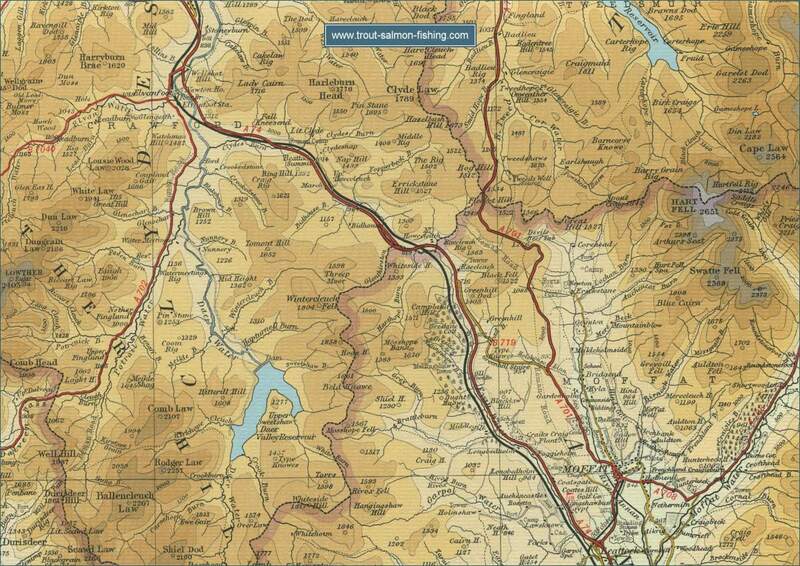 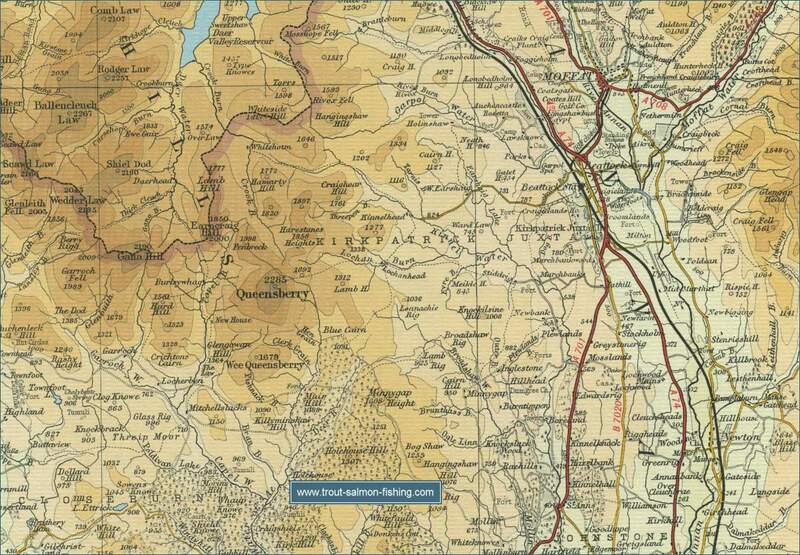 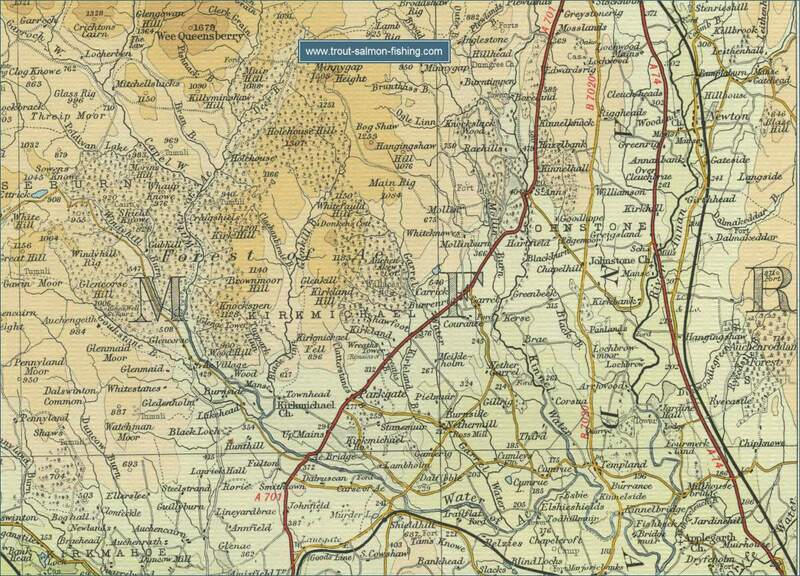 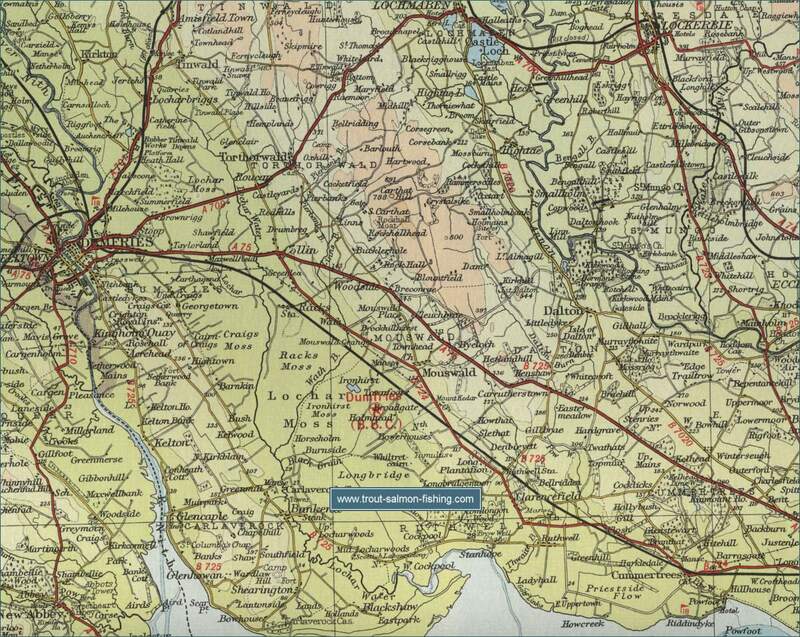 To view a larger scale map of a particular section of the River Annan, click on a selected area of the maps below.